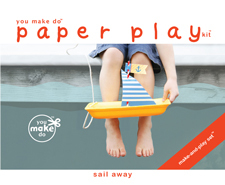 you make do party printables are instant downloads ready for your handmaking goodness. Print as many as you wish right after you place your order! Enjoy our handmade party printables, birthday printables, and baby shower printables to create your celebration. h o m e. h e l l o. c o n t a c t . p a r t y i d e a s ! l o g i n. t i p s.
More creative goodness is added often. Remember to visit our handmade creations again. Please join our e-mail subscription. have questions? I would be happy to answer them for you. Find you make do® on Etsy too! Love our printables, but do not want to print them yourself? Have a copy shop print them for you. Or, click on the book kits we have available on Amazon, below. These books are creative gifts to have on hand too! Paste the code in the box below, into your webpage to share our label and our handmade goodness. Or, join our affiliate program and receive 75% commission for sharing. It's simple. And, sharing is so very nice. And, visit wordplayhouse® our website of inspirational play ideas for children. INSTANT DOWNLOAD Photo Prop PARTY PRINTABLES! Photo prop party printables to make your own silly photo props. These photo prop party printables can be used with ANY PARTY theme! Or, choose these fun party favors to coordinate with our pink and turquoise carnival and circus party decorations found here. Use these party printables to add a photo booth, and fun silliness, to any party—or give them as circus or carnival party favors! These photo booth photo props add laughter to carnival birthday parties, wedding showers, weddings, and baby showers! These party printables are an INSTANT DOWNLOAD! After receiving your order, a link to this You Make Do® party pdf printable download will be automatically e-mailed to you on your receipt. Begin printing as many as you wish right away at home or your favorite print shop! 6 different funny photo prop printables included so you may print as much silliness as you need! You will receive two sizes of this set (one kit for young children and one kit for older children and adults). Use both kits, or print just the size you prefer! These party printables were illustrated and designed by a New York Times bestselling children's book illustrator. Make a birthday party, baby shower, wedding shower, wedding party—any party so delightful with our party printables! 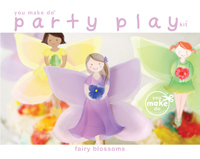 You Make Do® party printables make the celebration day a very special, and full of fun, day. Copyright you make do. All Rights Reserved.